Unknowingly possessed by an evil spirit, Batman brutally slaughters a restaurant full of customers. Regaining consciousness with no recollection of the events, the Dark Knight Detective must solve the mystery of his own killing spree. Aided by the mystical Deadman, Batman begins to piece together the clues of his possession. 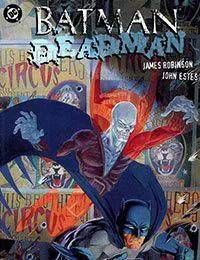 But as the involvement of malevolent mages and a supernatural emissary of Satan is discovered, Batman must find a way to combine his human abilities with Deadmans paranormal powers to defeat this unholy evil.